Call Us For Wedding Dresses! Are you looking for a bridal dress shop in Charlotte? If so, look no further than Poffie Girls. Since 1974, we have been providing wedding dresses, gowns, veils, tiaras, prom dresses, accessories and much more. Whether you are looking for gowns and dresses for a pageant, prom or your big day, we have everything you need and our experts stylists will ensure you look your best. We have a wide variety of wedding dresses. Our staff will help you choose from our wide selection based on your needs and budget. You will find over a dozen of designer brands in our store. Our stylists are well aware of the new trends and will help you look stunning on your wedding. To learn more about our services, call us at (980) 285-8647. 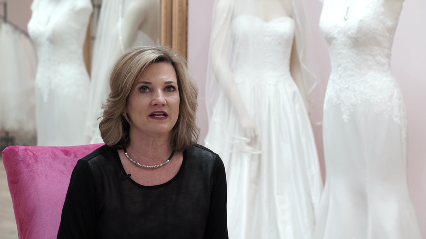 Speak With Our Stylists Today For Custom Stylish Gowns! Copyright © 2018 poffiegirls.net All rights reserved.